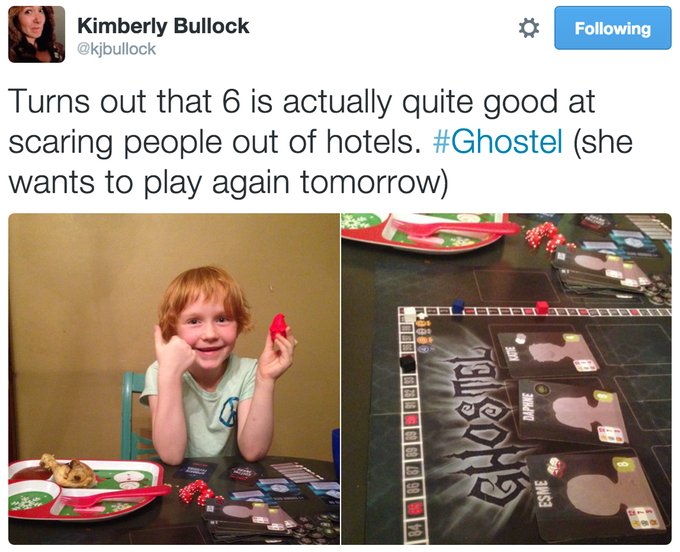 Are you the scariest ghost of the night? 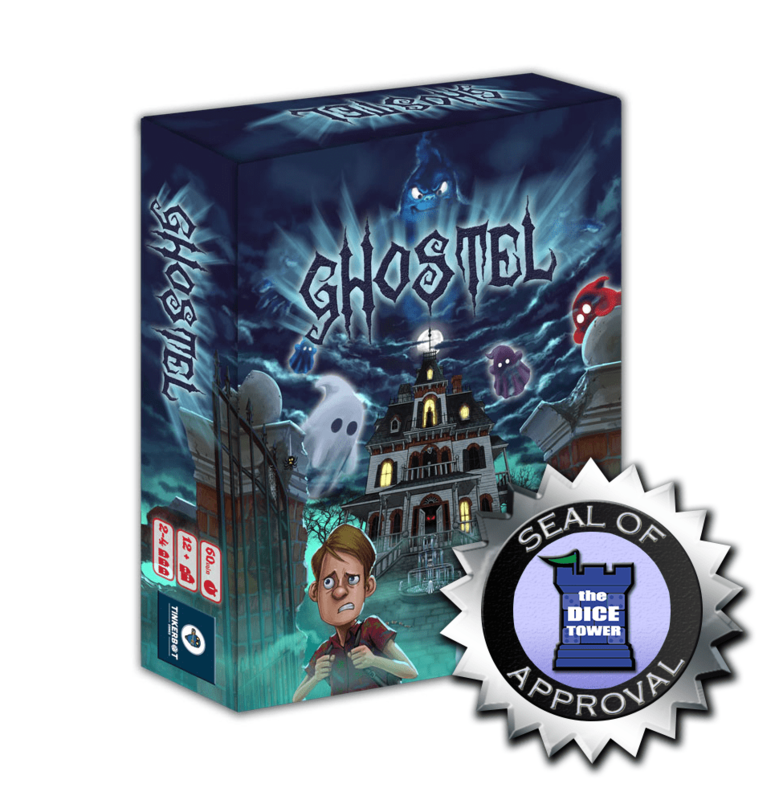 Ghostel has been awarded the Dice Tower Seal of Approval! 30 Guests, each with individual artwork featuring caricatures of real people! 20 Scare Tactics with creepy phobia icons: what do you fear?! 12 Terror Bonus cards to help make your scare more efficient! These are examples of the art style being used in the final game.